When it comes to coffee, I can't live without it. From long lectures at school to standing on my feet at my boutique job, I need something that's not only going to give me energy but also satisfy my sweet tooth! 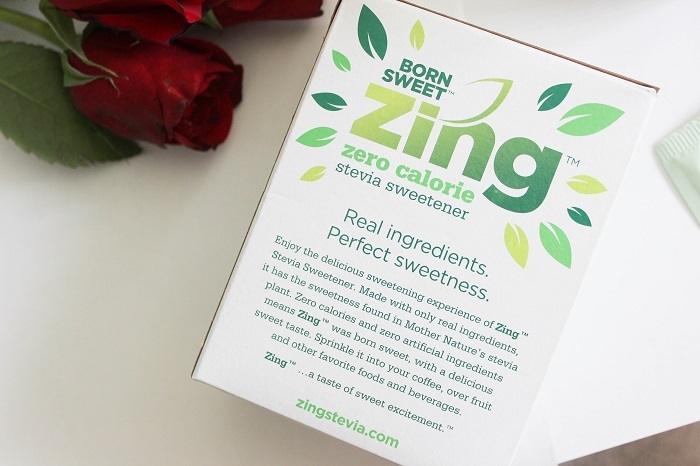 I recently discovered that the perfect compliment to coffee is Born Sweet Zing™ Zero Calorie Stevia Sweetener. 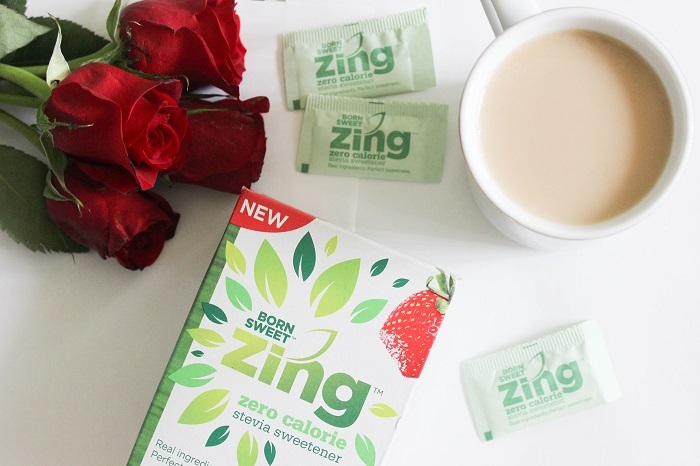 Personally I can't have coffee without some sugar and what's amazing about this product is that it has no artificial taste, made with real ingredients, and the best part: it's zero calories. Now I know what you're thinking: "Girl. Is this even real?!" I know I was pretty skeptical in the beginning as well until I tried it! Basically, the sugar is found in Mother Nature's Stevia plant and since it only has real ingredients in it, you can't taste anything besides real, pure sweetness. If you're not a coffee lover like me (I didn't get used to drinking coffee until college so I totally understand!) then sprinkle some into your tea or even delicious fruit smoothies. You could also sprinkle it onto your cereal, fruit, or yogurt. If you feel like trying it yet still feel skeptical then it's your lucky day! You can get some free samples and just in case you feel like buying it right now, here's the store locator. If you end up trying it, let me know what you think! I know a lot of people that like Stevia but it has a funny aftertaste to me, but it's great that you loved it!